Callie Haley concentrates her practice in civil and commercial litigation including personal injury, wrongful death, premises liability, insurance defense, employment disputes, and construction defect litigation. She manages each case she is assigned with a strategic eye and her client's best interest in mind and is regularly called upon to evaluate challenging legal issues and develop litigation strategies for her clients. 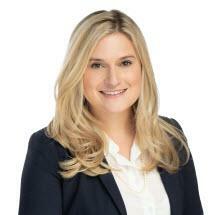 Ms. Haley joined Wright and Greenhill, P.C. in 2018 after practicing for nearly two years with a national product liability defense firm. She brings with her experience drafting and managing motions practice for individual and complex litigation matters and in handling discovery and document production efforts for a large pharmaceutical mass tort litigation. Ms. Haley was born and raised in Brenham, Texas and decided to follow in her father's footsteps and become a lawyer. She moved to Austin after graduating from Tulane University Law School, where she served as the Interschool Appellate Moot Court Chairman and received a "Best Brief Award" for her work on the International Criminal Court Appellate Moot Court Team. While at Tulane, Ms. Haley also clerked for the U.S. Attorney's Office for the Eastern District of Louisiana where she had the opportunity to serve as the second chair for a Fifth Circuit oral argument. Ms. Haley is also active in her local community. She serves as a volunteer for Lone Star Legal Aid, an organization that provides legal assistance to low-income and underserved populations in central Texas, and is a member of the Junior League of Austin.